I've recently had the pleasure of working with The Unity Closet, a nonprofit organization dedicated to fighting social injustice with one simple product: scarves. Created by Ashika Kalra, a recent graduate of New York University’s Stern School of Business, this organization focuses on the needs of the impoverished and marginalized by combining creativity and philanthropy. Kalra writes on her blog about meaningful fashion, calling The Unity Closet a new take on charity and ways to utilize social media to make a difference. 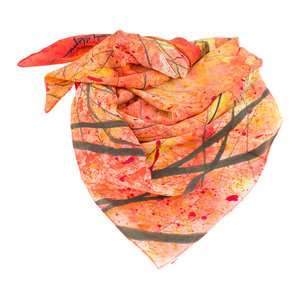 The scarves The Unity Closet sells all revolve around the wish to foster global awareness of various issues; each scarf holds nuanced importance. 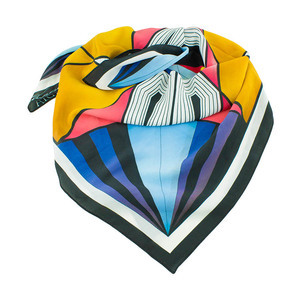 The scarves are conceptualized by young, aspiring designers around the globe--a testament to diversity and the power of this generation.While each design lies on 100% pure silk, each scarf represents a different cause. Pictured below on the left is the “You Are Beautiful” scarf, including artwork inspired by Russian dolls and a tribute to a women’s health campaign. Pictured on the right is the “Chains of Love” scarf with detailing representative of chains and wire to “symbolize victims of child trafficking.” Both scarves are from the 2014 Socially Conscious Collection. This year, the Unity Closet has a collection dedicated to education in light of their new partnership with BuildOn, another nonprofit organization, with the goal of constructing primary schools in developing communities. Both nonprofits are now working together with the Nepalese government and construction companies to build a school in Nepal. Pictured below is the “A Whimsical Journey” scarf, with a design that features floating books, symbolizing the liberation that knowledge provides. 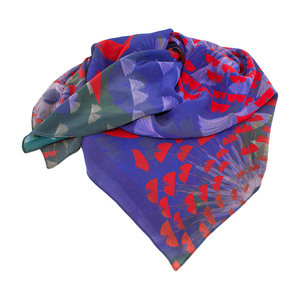 This scarf is part of the 2015 Education collection and, along with all other scarves, can be found on the website: theunitycloset.org. Each account posts pictures of young women modeling the scarves, usually with an inspirational or motivational message or quote. The Unity Closet promotes beauty in all its forms along with a mantra that encourages following dreams and playing an active role in social change. All in all, this is a global social enterprise that can contribute to fashion, and, more importantly, give others an opportunity to help those in need. To buy a scarf or learn more, click here. Anna Levinson is currently an undergrad at New York University, where she is exploring multiple career paths, hoping to be a writer (among other professions). She devotes time to activism and philanthropy, and enjoys working on political campaigns and with youth. She is constantly inspired by individuals around her, and seeks to reflect love and acceptance back into her surroundings.